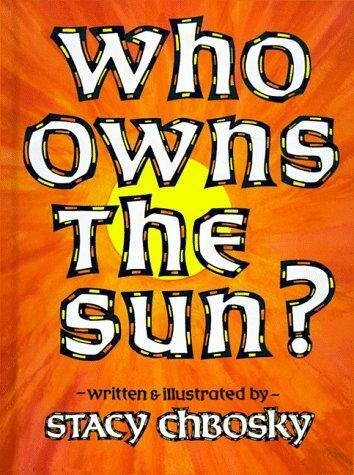 "Who," I asked my father, "owns the sun?" He pointed to toward the sky and told me to look up. I raised my head and squinted my eyes against the sun's powerful glare. "Only a fool believes he can own the sun," my father said. "Everybody sees the sun's light, and everybody feels the sun's warmth. But the sun is too large, too great, for one person to own. So it shines on all the earth and gives itself to very living thing. "I thought of what my father had said, and I believed him. I did not understand all my father had said, but I accepted it. He had told me the world was full of beautiful things - things that could not be owned, but that could be loved and appreciated by everyone. I am not going to tell you the rest of the story. I will tell you that the first time I read this story and realized what was going on, I cried. And my little ones looked at me wondering why I was crying. Our first conversation was on the history of slavery. I reminded Malachi and Eliana that we talked about slavery during our row of Mrs. Katz and Tush and further explained the history of slavery in America. I touched on the Civil War between the North and the South and we focused on the Southern states for Geography. Malachi's list of "Things too wonderful to be owned:"
Malachi has been covering of the use questions marks in his Daily 6-Traits Writing, so this tied in nicely. The first two topics were discussions from the manual on the illustrations in the book. Then we did another lesson from our Evan Moor art book on color. Using the mini books from HSS (below), Malachi told me the best part of each season and glued the corresponding seasonal clip-art to each one. Then we did the Seasonal Weather Study from The Handbook of Nature Study. 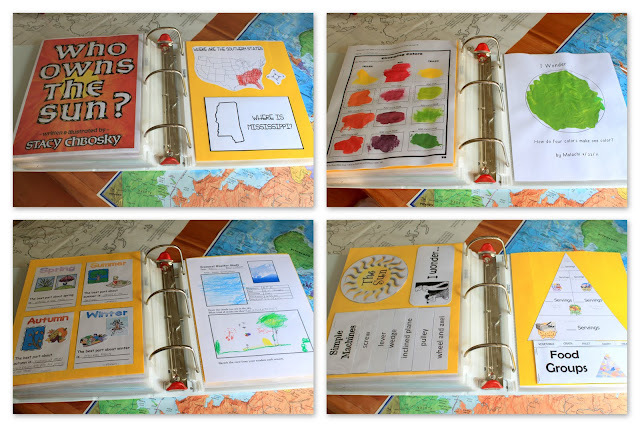 We also learned some facts about the sun to go along with our weather study (and the title of the book). To teach the five senses, I had Mali and Elli find a leaf outside and then had them describe the leaf using their five senses. I had them describe what it looked like, what it smelled like, what it sounded like, what it felt like, and what it tasted like. And since it is officially Fall, I had Malachi tell me what fall means to him using his five senses. To me, fall is. . . fun because a bunch of leaves fall off the trees and you can rake them up and throw leaves at each other and jump in the piles and say "cannonball!" It feels warm - you could make mud walls with the leaves for a base. It smells like the best piece of nature. 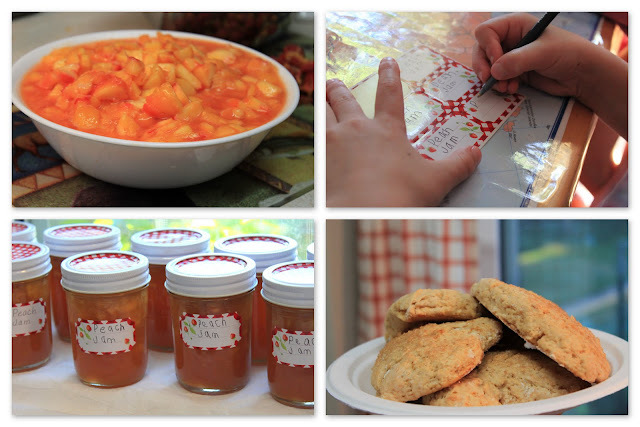 It tastes like pumpkin cake. I hear squirrels scurrying and wind blowing. I see pumpkins and yellow, orange, brown, light brown and red leaves. (This is from my notes written on the back of my Blank Lesson Planning Sheet from the manual). For nutrition, we covered food groups and the Food Pyramid. We did the mini-book from HSS and then Malachi compared it to a Food Pyramid poster. We wrote all the food we ate in a day on the MyPyramid Worksheet to see if we ate enough of each food group. Evan Moor Daily Science question this week: "Why do we need the Sun?" 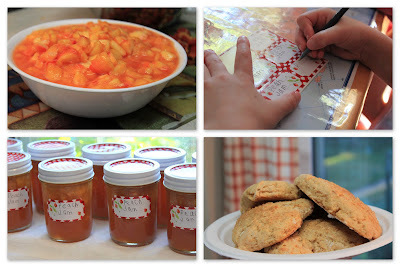 Five in a Row Recipe: Peach Jam and "Big Jim Biscuits"
For our "biscuits," I used my favorite scone recipe. We also juiced 40 pounds of organic oranges in 3 days this week. Dylan, Mali, Elli, Bo and I were all sick with a cold and the juice was just what we needed. 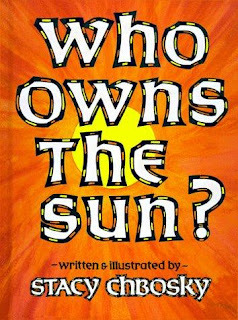 Who Owns the Sun? is a selection from Five in a Row Volume 1. Labels: FI♥AR, Who Owns The Sun?